The whiff of a trade war has prompted falls in global stock markets. 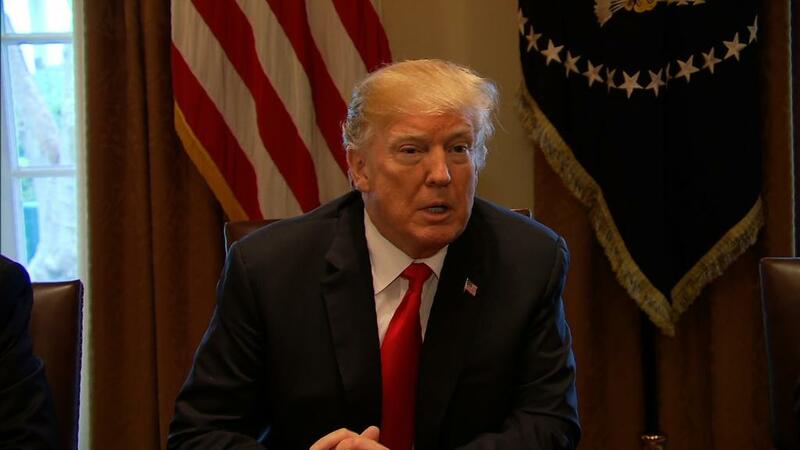 President Trump alarmed investors on Thursday by announcing heavy tariffs on steel and aluminum imports. He followed that up Friday with a tweet that said "trade wars are good, and easy to win." Investors are worried that Trump stance could set off a wave of protectionist policies across the globe that will hurt businesses and the economy. US stock futures were sharply lower. Benchmark indexes in Frankfurt and Paris shed roughly 2% in early trade, while stocks in London dropped by 1%. The Nikkei dropped 2.5% in Tokyo, while Hong Kong stocks slid 1.5%. Trump's announcement dealt a direct blow to US stocks on Thursday. The Dow fell nearly 1.7% Thursday, while the Nasdaq and S&P 500 both declined 1.3%. Shanghai's main stock index fell 0.6% Friday. The losses were smaller than for some other markets in the region because Shanghai stocks had already suffered a big correction in the past month, according to analysts. 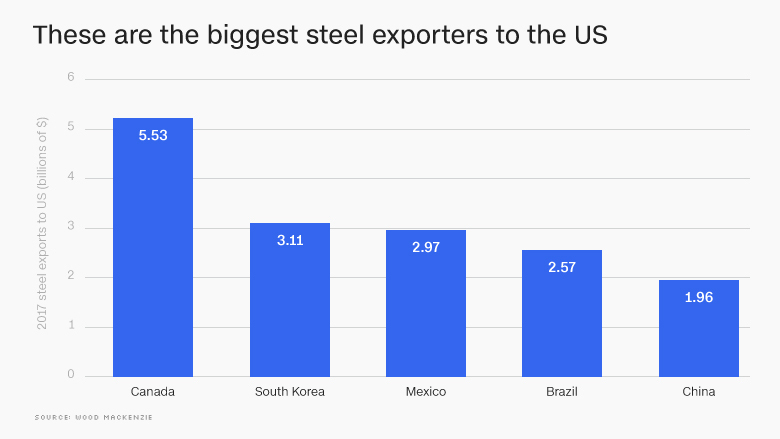 Some steel producers took a big hit. China's Baoshan Iron & Steel and Japan's Nippon Steel (NISTF) both dropped nearly 4%. European steelmakers, which were slammed late on Thursday, posted further losses. Germany's ThyssenKrupp (TKAMY) dropped 3%, while Salzgitter (SZGPY) shed 5%. Industry leader ArcelorMittal (AMSYF) declined more than 4%. 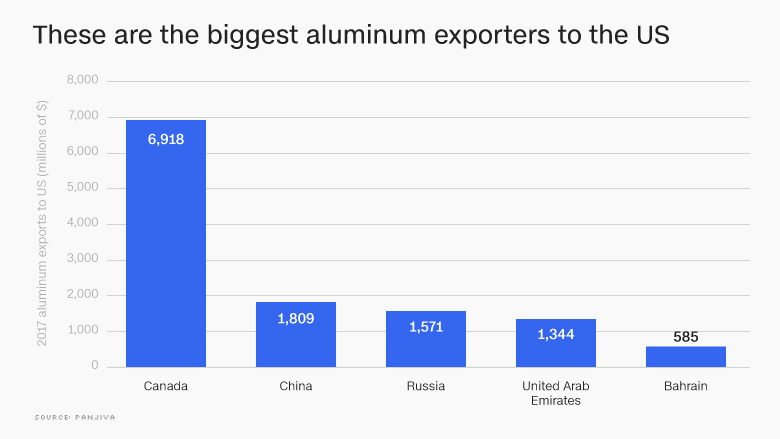 Companies that have strong ties to the US fared better, with investors hoping their American operations could enable them to avoid the worst effects of the tariffs.